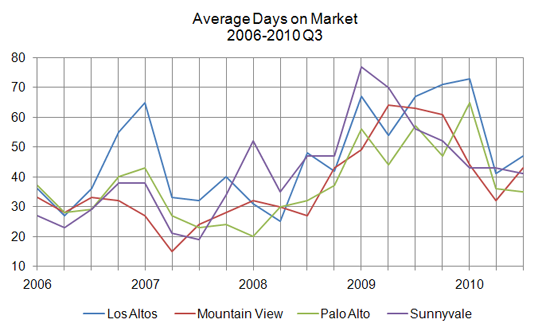 Mountain View serves as a good example in our four comparison cities to see that the strongest competition after the housing crisis is for entry- and mid-range homes. The standout numbers this quarter for Mountain View are 102 closed sales, 121.7% more than last quarter and 50% more than 2008; and $98.5 million in total sales volume, 136.3% more than last quarter and 35.3% more than 2008. 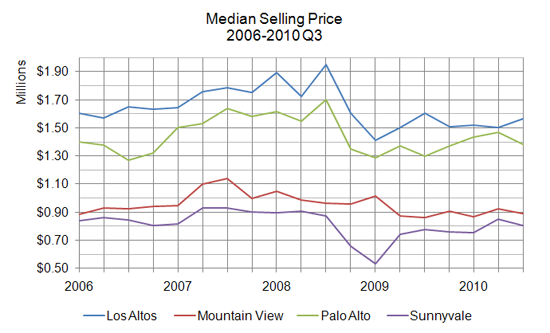 Median sales prices and average days on market are creeping towards 2008 levels. 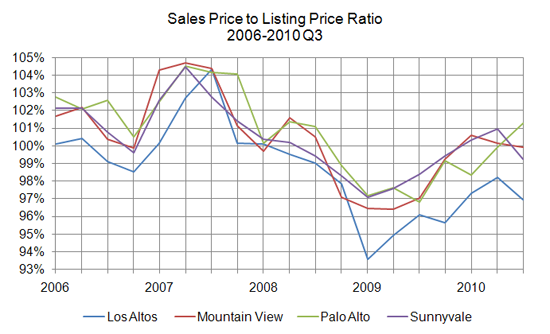 The sales price to list price ratio is just above 100%, meaning seller and buyer perceptions are balanced, though slightly in favor of the seller.